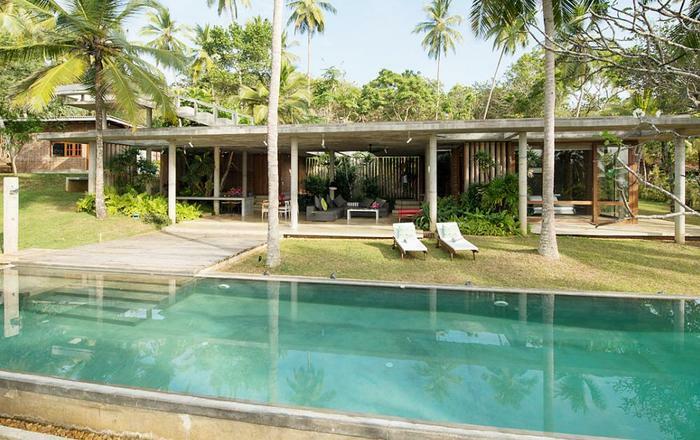 Enter Talalla House via a labyrinth where sunlight passes through slits in the wall to light up a tropical fishpond. 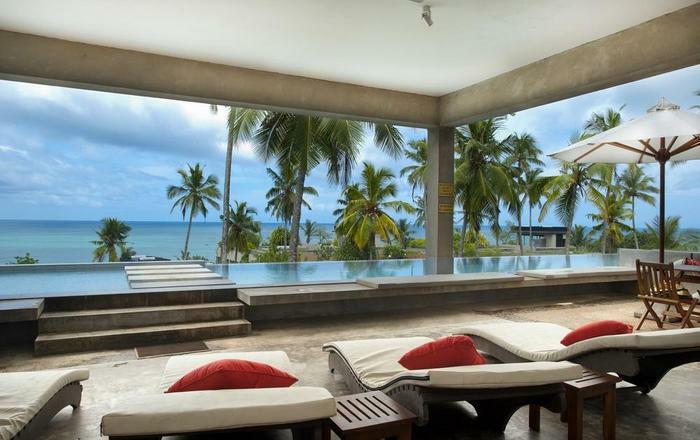 Hear the ocean as you walk the long hall, past the kitchen, and into the open living area. From here, all eyes are drawn to the highlight of Talalla, the golden sandy beach stretching in front of you for a kilometre. 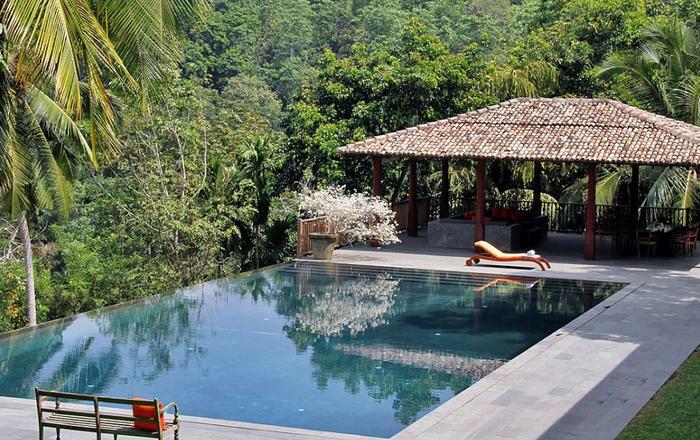 It is framed by the pool’s infinity edge and a lush tropical garden. In this living area, you have dining for up to 14 people at the main table and guests can lounge in the enormous sofas overlooking the ocean. The entire living area opens to the deck and pool. 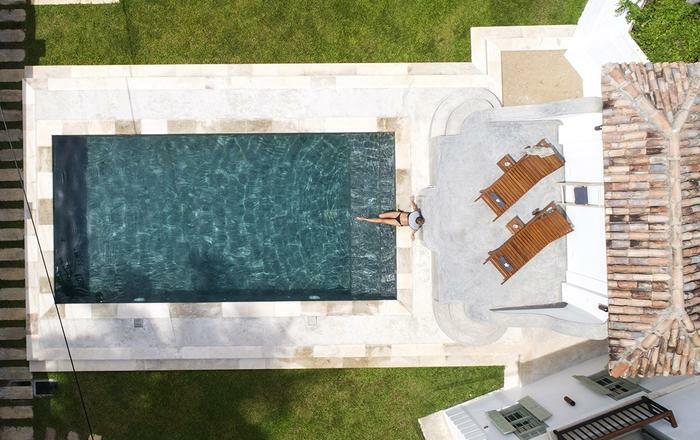 On the ground floor, you’ll find one en suite bedroom adjoining the living area, with ocean views and sliding doors that open to the pool deck. From the living area, a stairway takes you to the first floor hallway with access to four bedrooms, all with air-conditioning and private balconies with undisturbed ocean views. The master and junior suites have bathtubs on their balconies. 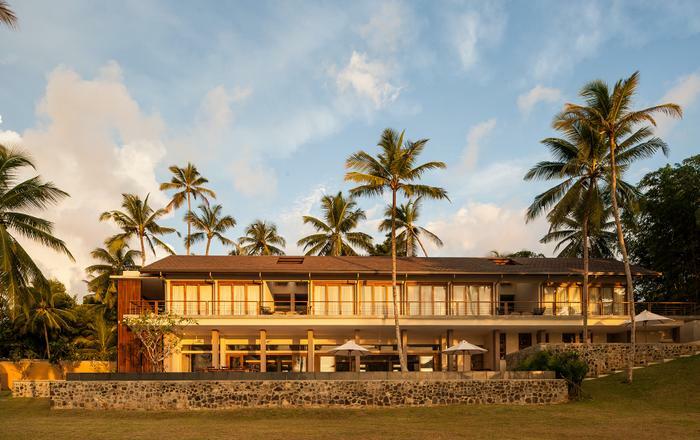 At the end of the hall you enter the covered, open air yoga and Ayurveda studio facing the ocean. If you wish, this area can also function as a private covered terrace for the master suite. Take the stairway to the rooftop with its 30 m (100 ft) long garden; from there you overlook both the beach and the open ocean. The rooftop garden has a small bar and lounge chairs, and at the far end, a vegetable and spice garden. This is the place to be for your sunset drinks. 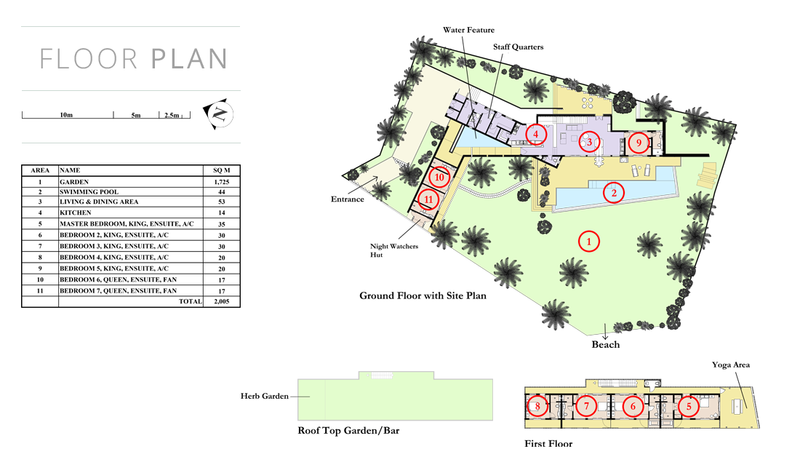 Back at the ground floor, walk past the pool through the garden to the entrance of two smaller garden rooms, each with a fan, en suite loo, and private garden shower, perfect for teenagers or couples with kids who want to live in the garden. At the back of the house you’ll find the staff quarters. Talalla House has a 24/7 security guard and a gated parking area. 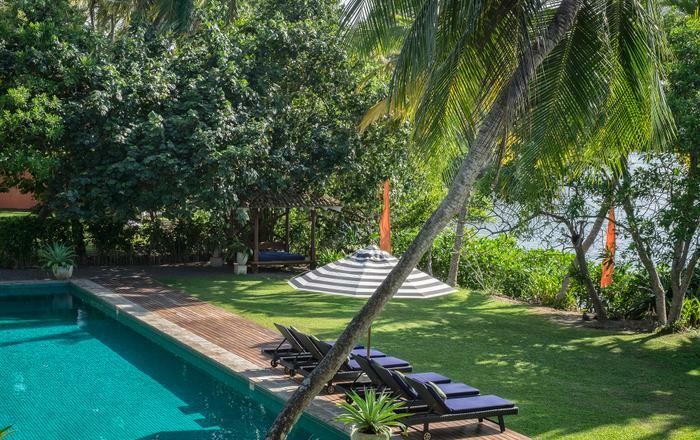 Talalla House and its location, also make this the perfect spot for a wedding, birthday, reunion or private yoga retreat. Please enquire within!